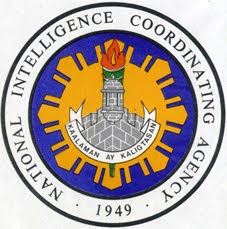 MANILA (Mindanao Examiner / Oct. 9, 2011) – The Philippines’ National Intelligence Coordinating Agency (NICA) has realigned over P25 million of its intelligence funds. NICA Director-General Trifonio Salazar said the realignments went to regular items such as utilities, rental of houses, provision for gasoline, and maintenance of vehicles, among others. Senator Franklin Drilon praised NICA and urged government agencies that have intelligence funds to realign it with their annual budgets. He said NICA realigned some of its intelligence fund to regular items in its proposed 2012 budget. And Drilon said he is backing the agency’s bid to promote transparency in the budget. NICA is the lead intelligence collection agency of the government. “I fully support this (realignment) because it now becomes part of the regular budget items,” said Drilon during a hearing of NICA’s P458.6 million proposed budget, adding that realignments should be done without prejudice to national security. Drilon, chairman of the Senate Finance Committee, said a total of P43.5 million has been allocated for NICA’s intelligence fund this year, but the agency trimmed it to P20 million in next year’s proposed outlay. He said intelligence funds of various agencies should be reallocated to regular items in the budget in a bid to promote transparency.